Perfect holliday gift for your friends, family or people you love. The ornaments are ready to hang out of box with a pre-looped Ribbon. They are also very light weight and won't weigh down the Christmas tree branches. It's time to decorate the house, Merry Christmas! Each Ornament is individually Printed and embellished with clear coat. They are fabulous holiday decorations, make a unique gift for someone special, or simply hanging in a window. It's time to decorate the house, Merry Christmas! Each Ornament is individually Printed and embellished with clear coat. They are fabulous holiday decorations, make a unique gift for someone special, or simply hanging in a window. 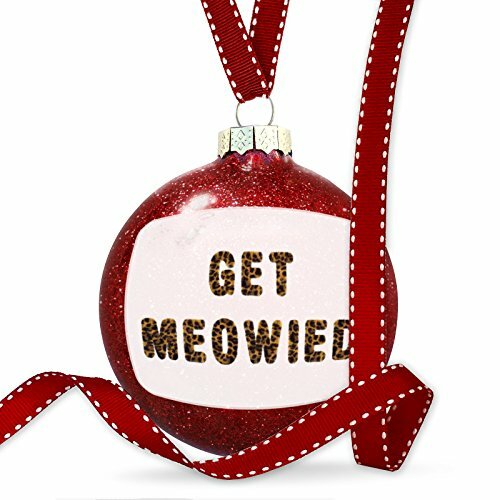 No matter what your style, this ornament will become a cherished holiday heirloom. Christmas Ornaments are more than merely a gift. They are enjoyed year after year as it is placed on the Christmas Tree. View More In Ball Ornaments.